Like running in the shade. The burning heat of the sun, gleaming black asphalt or the hot facades of buildings are all environmental factors that can raise an athlete’s temperature. Just by regulating your body temperature, you lose valuable energy. We are saving valuable resources by learning from nature, taking advantage of the millions of years nature has already spent perfecting its developments. Fennec, the desert fox, lives and hunts in extreme heat. Invariably, it has adapted perfectly to these hostile conditions. Its glossy, silvery fur, for example, reflects the heat radiated by the sun and by its surroundings. Its large ears also dissipate a great deal of heat. This is the inspiration behind our desert fox technology. 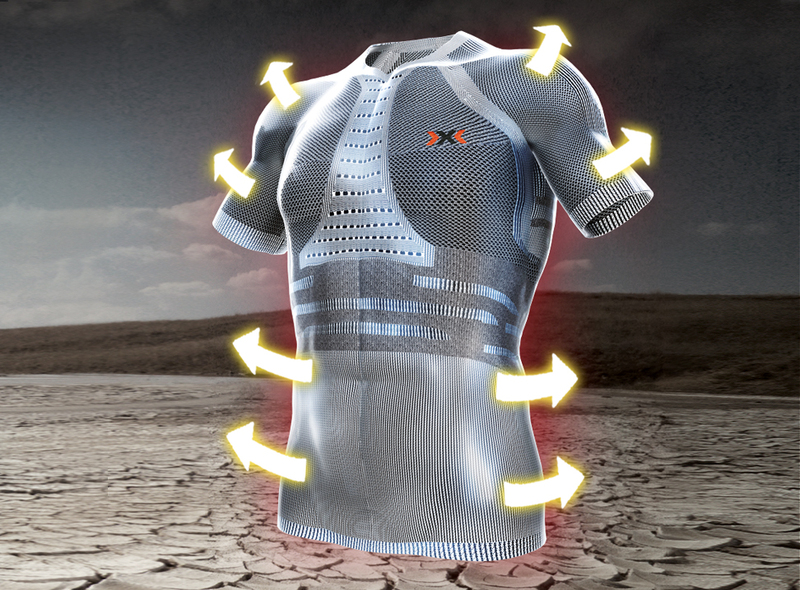 The basis of the X-BIONIC® desert fox technology is the unique material XITANIT®, which reflects radiated heat and widely distributes sweat across the skin, to provide effective cooling. At the same time, the conductivity of the bacteriostatic yarn draws excess heat from the body and dissipates it in the outside air. 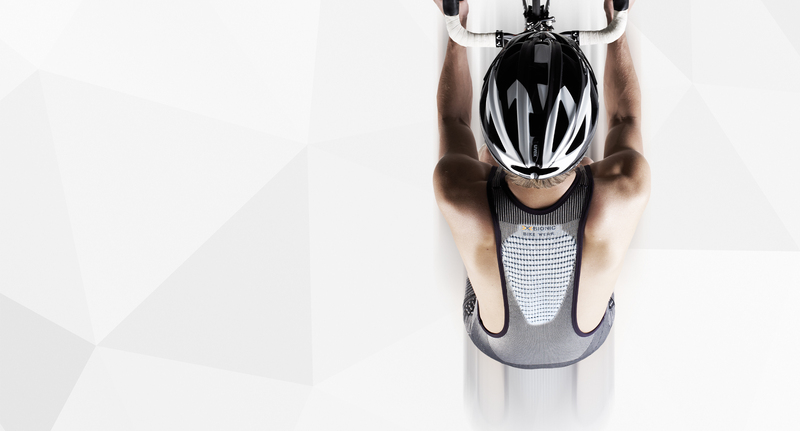 As a first step, XITANIT® draws excess body heat away from the large working muscles. Next, the material's extreme conductivity comes into play: The heat is dissipated outwards, much as it is by a silver spoon in a cup of tea.